Sidwell’s Tax Map Atlases feature parcel maps in a convenient, easy-to-use half-size format, bound in loose leaf fashion inside durable hard covers. These half-size maps are reduced-size versions of the full-size maps created by Sidwell, and contain all the same information: property identification numbers, property boundaries, parcel and lot dimensions, streets and street names, as well as various other data typically used in property location and identification. 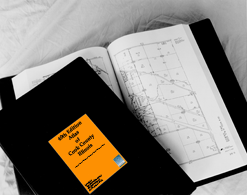 Some atlases are now available in digital format as well. 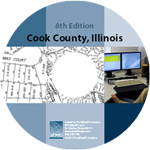 All of the same information that’s included on the tax maps is now available on DVD or flash drive. Convenient search functions allow you to find parcels by PIN number, map number, or township (area) and section. For a free estimate or to check availability, please call 630-549-1100 or fill out our contact form.